Buy the best Sony camera: compare specs and prices side by side between two and more devices quickly and easily. 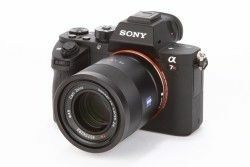 As soon as new Sony DSLR cameras are released they are added to the list. Do you want to understand which Sony camera is better? They have dozens of specifications like number of pixels, size and type of the sensor, focal length, maximum aperture and many others. To select the best digital camera use Sony DSLR comparison of the specs and be sure to check out the sample photos as it is the easiest way to see the difference between cameras.